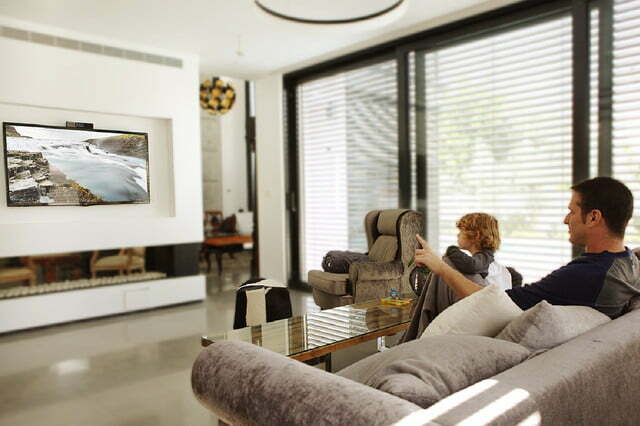 Controlling devices with gestures using the Singlecue Gen 2 is fun, but you’ll still find yourself reaching for the remote. Works with lots of TVs, streaming boxes, etc. Update December 31, 2018: Eyesight has discontinued sales of the Singlecue. In an email to owners, Eyesight said that the devices it’s already sold will continue to function, but the company will not release any new software updates or functionality. The mobile app will remain available in the Google Play and App Store for a year. “A year from today, on December 31, 2019, we will also cease singlecue support,” according to the email. For more information, please contact support@singlecue.com. There are times when voice control just fails you. If the volume is so loud that your smart speaker can’t hear you shouting at it, or if you get a case of laryngitis, Alexa and Google Home can’t help you out. Are these issues enough to justify a gesture-controlled supplement that lets you dim the lights or change the channel with the wag of a finger? That’s what Singlecue is designed to do. 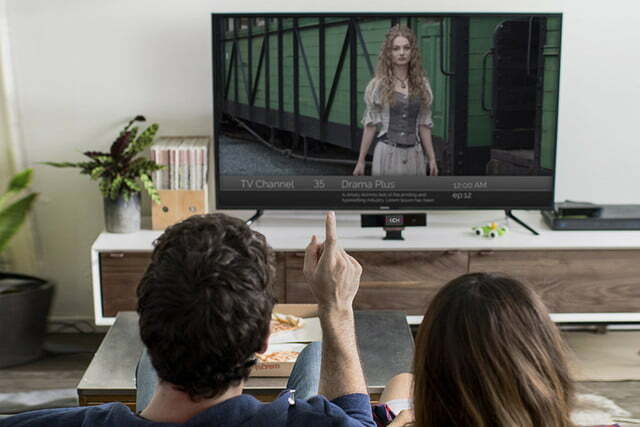 The device controls TVs, streaming devices and some smart-home gadgets with simple hand manipulations that made us feel like we were spellcasting on “The Magicians.” Find out what it’s like to pause, mute, and power down with our Singlecue Gen 2 review. The Singlecue is about 9 inches long, 2 inches wide, and less than an inch deep. The black rectangle has a flexible stand attached and looks a bit like it should have stock prices ticking along its 2.5-by-1.5-inch screen. A camera is ready to interpret your gestures. The first thing you need to do is decide where you want it to live, as positioning is crucial. It has a somewhat limited range in picking up your gestures. It also displays a menu on the screen, so you need to be able to read it as you flick your finger back and forth. 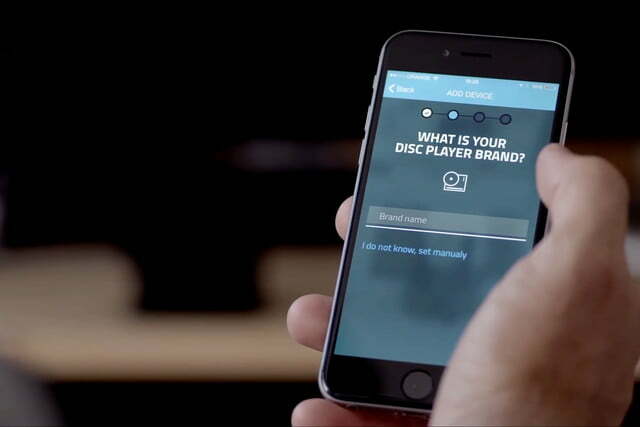 Once you download the app, it gives you a few pointers about where to put it and how far away it needs to be from your most-used couch cushion. With your devices synced up, you can then start giving it the finger — your index finger, that is. Pairing the device with our phone should’ve been easy enough, but we had to do a factory reset. The information for what to do when it wasn’t connecting was on Singlecue’s website and not in the app. Once it was on our Wi-Fi network, it was time for a tutorial. The app showed us hand gestures to operate the Singlecue, including how to scroll through menus and pause what was playing on TV. You need to accurately perform each gesture three times before it moves on to the next one. It took us about five minutes to successfully complete the six gestures (wake up, select, navigate, shush, play/pause, and wave). Next, it was time to add devices for the Singlecue to control. When adding our cable box, we were given several model numbers. We had to go through and try to control them with the app to pick the right one. We peeked under our Roku for the correct model number and then confirmed it was working by using the app to navigate through the menu. There aren’t a lot of smart-home devices the Singlecue can control, but we added our Hue lights and Amazon Dot. You can control your Nest thermostat, but that’s about it for smart home. It’s not yet compatible with Google Home. 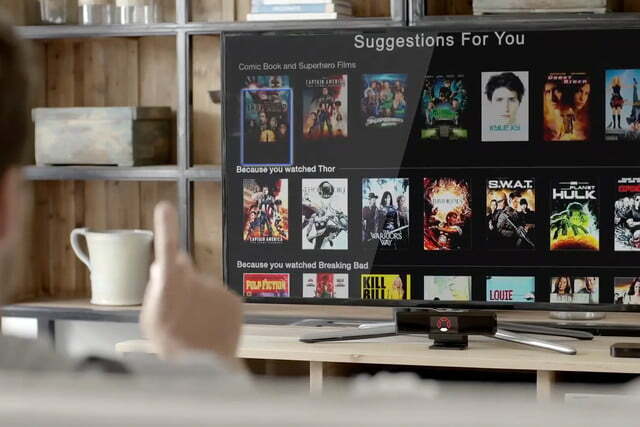 It does however work with streaming devices like the Apple TV, as well as a long list of home theater equipment. Before you can start shaking your finger at Singlecue, you need to teach it some “activities.”. These are things like “watch channels” and “control lighting.” These also teach Alexa what to do, so you can say, “Alexa, tell Singlecue to turn on channel four.” You can also add controls for streaming devices and your Nest. With your devices synced up, you can then start giving it the finger — your index finger, that is. To wake it up, you lift your hand with the pointer extended upward. A sort-of pinching motion (almost like your finger is taking a deep bow) unlocks the device. This is presumably so your Singlecue doesn’t come to life when you’re celebrating with the “We’re number one!” sign, but we found the device occasionally perked up when we didn’t want it to. It’s a little like Alexa responding when she mishears her name. When the screen does light up, you’ll see icons for your devices that you scroll through by moving your index finger back and forth. To select a device, you do the finger pinch again. It’s easy to control, except with the Roku. The up-and-down buttons aren’t in the same row as the other controls, so we had to contort our hands to get there. The menu often skipped back up to the right arrow or the up arrow instead. This is also where we saw the benefit of having the Singlecue next to the TV, as we had to flick our eyes back and forth to make sure we were still on the right icon as we sorted through TV shows. We’d also sometimes have to squint to see what was on the small screen from across the room. As far as controlling our cable box, it was often quicker to punch the numbers into our remote instead of trying to tap, tap, tap to get to channel 232 as though we were performing a frantic Morse code. While it’s true that only one person can use a TV remote control at a time, most remotes don’t require that the person sit in the same exact place to use them. The same can’t be said for the Singlecue. You must sit in a specific place directly in front of it to control it. Frustratingly, even when we’d successfully used the device a couple minutes before, we found it would sometimes not pick up on our gestures, and we’d have to wave more broadly or reposition ourselves to find the sweet spot again. Let’s just say that sometimes it was less like Tom Cruise in Minority Report and more like Tom Cruise on Oprah’s couch. Pairing Singlecue with Alexa really brings to light the drawbacks of gesture control. If we can just say, “Alexa, turn the living room lights blue,” isn’t that much simpler than raising a finger, scrolling to the light icon, then waving back and forth until you get to the blue light setting? Additionally, the Singlecue can accommodate just five light settings at a time, so it’s not as efficient as the app. In addition, the options show up as different symbols, so you’ll have to remember which is which. It’s not terribly taxing, though — more like a minor annoyance. Singlecue comes with a one-year warranty. Though a fun little device, the Singlecue probably won’t make you ditch your remote or Amazon Echo anytime soon. As cool as it is to shush your TV by putting your finger to your lips, many of the gestures simply take more time and effort than using your voice or pushing a button on your remote. Also, people who feel uncomfortable with the thought of Alexa listening in might not like having a connected camera in their living room, either. 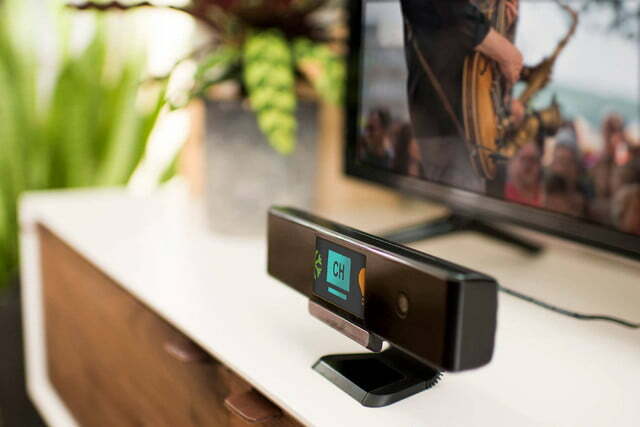 In some ways, the Singlecue is reminiscent of the semi-defunct Microsoft Kinect. But its emphasis on the smart home and entertainment system make it a little different. Recently there was a Kickstarter campaign for a similar device, Welle, that allows people to use gestures to control their homes. Singlecue is still unique overall, though. The first generation of the Singlecue debuted in 2014 and the Gen 2 was released in 2016. Will eyeSight come out with newer device or just improve the current one? It’s hard to tell. The cost of the Singlecue is $139, so instead of buying it you can probably find a universal remote to help keep your home entertainment system in check. It doesn’t yet work with enough of your devices to make it more than a cool party trick. You’ll probably want to wait and see what the future holds.